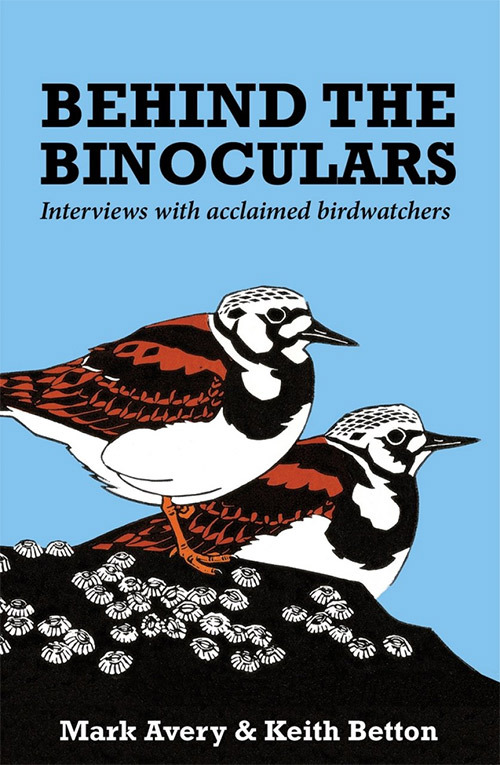 This book is the record of a series of interviews with some of the best-known names in British birdwatching. Of course this country has no shortage of ‘acclaimed birdwatchers’ and any choice is necessarily somewhat arbitrary but the twenty featured here represent as good a cross-section as any. Somewhat incestuously perhaps, the two authors interview each other! The interviewees come from a wide variety of backgrounds and disciplines and include twitchers, artists, writers, broadcasters, journalists, scientists and conservationists. The age range is similarly broad, ranging from the oldest, the late Phil Hollom, to the youngest, Rebecca Nason. The interviews I warmed to most were those with Ian Wallace and Ian Newton. The former has always been a birdwatching hero and I was astounded to read that he produced ‘Discover Birds’ (his ‘creed for joyous birdwatching’) in just three weeks! I was also pleased to see redpolls cited as his favourite bird group! The interview with Ian Newton is similarly enlightening. His views on raptor persecution will have chimed well with those of his interviewer (Mark Avery) whilst it was fascinating to read the background to the writing of what is, to me, his best book, ‘The Speciation and Biogeography of Birds’ - a masterpiece of accessible but intelligent science writing. The interviews are greatly enhanced by the inclusion of a block of photographs showing the interviewees at various stages in their career. These include some memorable ‘older’ images - Ian Wallace releasing a Leach’s Petrel on St. Kilda in 1956 and Stephanie Tyler and her children in Eritrea in 1976 - as well as some striking contemporary portraits - Chris Packham wading chest-deep in an African swamp in 2011 and a rain-soaked Mark Avery at the 2014 Hen Harrier Day. Given the varied backgrounds of the interviewees it is no surprise that the content is similarly varied, indeed the lack of a uniform set of questions ensures that the interviews (just like a real conversation) adapt to the interests of the interviewee and allow for expansions and digressions as appropriate. We read therefore about serious issues (raptor persecution on grouse moors) and moments of personal crisis (Stephanie Tyler’s abduction in Ethiopia) as well as more lightweight and ephemeral concerns (the colour of Chris Packham’s hair and Lee Evans’s musical preferences). Nevertheless, certain common threads are quickly evident. Most notable perhaps is the early age at which all our interviewees first became engaged with birds. Many report the influence of another adult (often a teacher) and also the freedom to wander at will in the countryside. Sadly, in these more paranoid and politically correct times such opportunities have all but disappeared. Equally influential are bird books, with three titles cited again and again - ‘The Observer’s Book of Birds’, the ‘Peterson Field Guide’ and the ‘AA/Reader’s Digest Book of British Birds’. Just as inspirational are some of the great figures of birdwatching and conservation, notably Peter Scott, David Attenborough, Max Nicholson and Guy Mountfort. Certain birds and places are prominent too, with Sparrowhawks and Bullfinches featuring particularly frequently in the lists of favourite species and, unsurprisingly, Fair Isle, Scilly and north Norfolk being the most oft-mentioned inspirational locations. The real common thread, however, is a love of birds and a determination to make a life devoted in some way to their enjoyment, study or conservation. All the interviewees have found the same early fascination but have then moulded it according to their talents, circumstances and opportunities to make a genuine and lasting contribution. Birds, it would seem, can take you anywhere.